Rooney is on the verge of stepping out in the famous red and white colours of England for his last game in Thursday’s fixture against United States, live on Sky Sports, with the proceeds of the game going towards The Wayne Rooney Foundation. McClaren has supported the decision of the Football Association to give the former Manchester United striker a fitting farewell, and has made Rooney netting at anytime in the game one of his top free betting tips at OLBG.com. England are the clear favourites against a weakened and experimental USA side, but anything can happen in football! “He’s been fantastic, it’s well deserved and he’s had a phenomenal career but it probably will not be appreciated until he stops playing,” McClaren said. “He’s not just a tremendous player but a tremendous character on and off the pitch. He has been fantastic for England and has always given 110 percent and will thoroughly deserve the evening”. 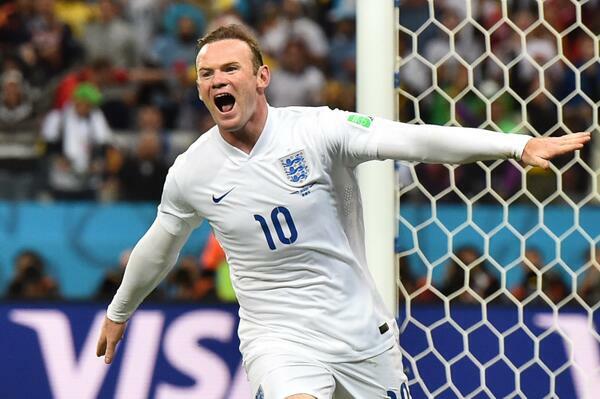 Former England captain Rooney offered thanks to the Football Association (FA) for giving him one last chance to feature for the Three Lions in the international friendly match against the United States at Wembley on Sunday, saying that he was flattered and overwhelmed by the gesture. Rooney has scored 53 goals in 119 international appearances for England since making his debut on February 12, 2003. However, he has not made a single appearance for the Three Lions since the 3-0 win over Scotland at Wembley on November 11, 2016. The 33 year old already announced his retirement from international football last year, bringing an end to his illustrious 14-year stint with England. In a video released by Rooney’s Major League Soccer club, DC United on their official twitter account, the player expressed his delight at earning his 120th cap for England in his farewell match. The Manchester United legend said he is honoured to make his final appearance in an England shirt and happy for manager Gareth Southgate to decide his playing time.